Last week, I had quite a bit of fun examining what we mean in the career world when we use the word “passion.” In the process, I did some thinking about what I would consider my own passions – the things that add enough meaning to my life such that I have little difficulty enduring them. These would be Passions with a capital P – things like helping people, creative expression, pondering deep thoughts or philosophical issues (I was recently correctly guessed as being an INFP on the Myers-Briggs by someone on Twitter. Knowledgeable readers would also likely be able to guess my Holland code of SIA). But where do the “small p” passions come in? It’s another thing that comes up quite often. Someone might say, “well, I love the outdoors and camping but that doesn’t mean I want to be an adventure tour guide or anything.” Or take my love of whisky for example. I’m not exactly saving up to start my own distillery or specialty liquor store or anything. Although…. I think last week’s post describes one of the reasons we seem to maintain this qualitative difference between Passions and passions. I don’t know too many people who would say they necessarily suffer or endure their love of whatever it is they do on evenings/weekends. Although maybe if the thing they love is running, this whole line of thinking falls apart. Still, there’s less of a direct relationship between these passions and one’s general life direction. So what can we take from these “smaller” things that we love? Often, they bring our lives tremendous amounts of meaning – this can be especially true if our 9-5 misses that target. It’s important to acknowledge that work isn’t the only area of life that we can derive meaning or fulfill our values. I’ve found that many people tend to put a lot of pressure on career choice – thinking of everything that’s important to them and then hoping for a job that will neatly check off everything on that list. This is, of course, unrealistic. It also serves to make a lot of people perpetually unfulfilled. The areas of our lives that we don’t get paid for need to hold up their end of the values bargain too. Our relationships, our hobbies, our “down time,” and all the other things we donate our time towards – all of them say something about what’s important and what’s meaningful to us, whether we are aware of it or not. The great thing is that these are all things that change and grow over time, and of course we as people change and grow as they do. 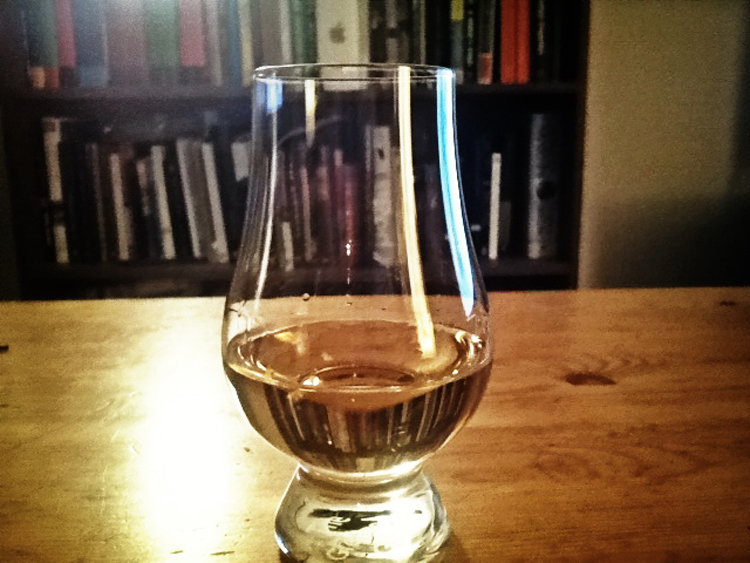 Of course, it wasn’t until a few years ago that I began a collection of my own (like any good hobby, it’s not cheap), started attending tasting events, and really started to build some actual knowledge on the subject of whisky – scotch, for the most part. I learned the different producing regions, and the flavour characteristics common to them. I learned about the different stages of production, and got a basic understanding of what makes whisky whisky. I learned a vast appreciation for the transformative effect that time (lots of time) plays in the distillation and aging process. Perhaps most importantly, through experience I refined my palate, and improved that elusive ability to come as close as possible to describing in words the magical sensory experiences I was having when I tasted whisky. In short, I became passionate about something. I gained an appreciation that I didn’t have nearly as much of before. I began seeking out new information about my passion with excitement and enthusiasm. My life became more fulfilled as a result. Could I say the same kinds of things about the things I do that I also happen to get paid for? Sure. I’m passionate about my job in the same sense that I touched on in last week’s post. My point is that that passion has more to do with being of meaningful service than of loving every second of what I’m doing all the time. The beautiful thing about life is that there’s lots of room in that latter category for things other than work. *A note on spelling: “whisky” is the accepted spelling in Scotland, Britain, and it seems also Canada, and when describing Scotch or Canadian whisky. Conversely, “whiskey” is considered correct in America and Ireland, and when discussing whiskeys from those regions. The more you know! *Cross-posted in Dave’s Diary at the Career Services Informer.